This issue ended up being a bit of a beast. 36 pages and counting. There’s three more being worked on, but I’m going to add in another page to make it an even 40. After that, the comic will undergo a metamorphosis of sorts. Interesting times ahead! I’m currently doing a sale on commissions – 50% off! Huzzah! Why not commission me to draw YOUR comicbook character… or you as a comicbook character? Head over to the Commissions page for more details. Also, I made a trailer video for the comic. Huzzah! Anyway, Back to action!. Last we saw of the Prime Minister, he was being frog marched through Number 10. Where to? Well, we’ll now find out. I’ve set up a fan art category, so now you can see all the lovely pieces of artwork supplied by readers and admirers of the comic. Like this page?! Please consider giving it an upvote on Reddit. Thank you! Is this battle lost? Hern certainly thinks so… and convinces Woden to bug out with him.. But who is this child that Hern has referred too? All will be revealed! Also, if you vote on Top Webcomics, can I ask you to add Vanguard to your list of favorites and bung us a vote or two? Thanks! As always, I’ve posted this page on Reddit. If you so wish, please feel free to give it an upvote. Thank you! Last time we saw Pendragon and his best bud, Cates, they were trying to get the hell out Downing Street, the effectiveness compromised through several injuries. I’ve posted this page on Reddit. If you so wish, please feel free to give it an upvote. Thank you! Who also produces the Excellent Mallville Rules comic – Go read! It’s due to return to updating SOON! Another member of the Vanguard falls, but is Godiva down for good? You’ll have to keep reading and see! Those arrows in panel two are a little on the large side. Didn’t notice till it was all coloured up and ready to go. Didn’t have the time to amend it. Speaking of arrows, the lady shooting them, X-Bow, is still happily tweeting away. All most as bad as my wife, ha! I’ve spent the past week fielding questions and answering comments left by all you lovely readers. So if you have left a comment, I’ve replied! As you may or may not know, Vanguard usually updates twice a week (Wednesday and Friday), but it’s only updating once a week for the next few weeks. 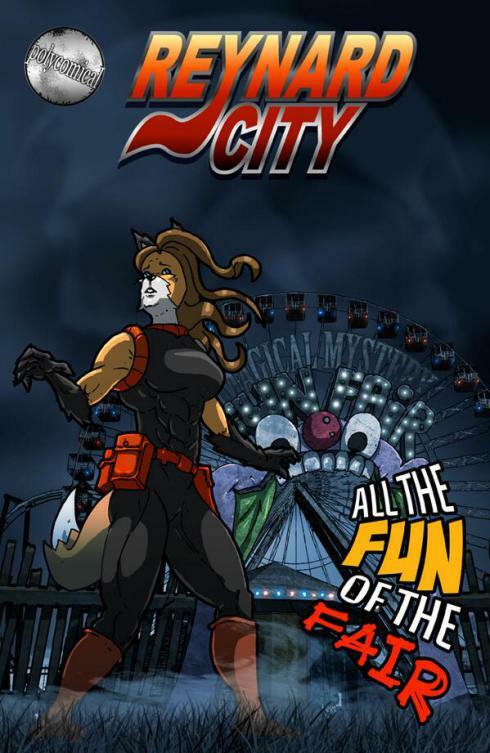 I’m currently drawing pages over at Reynard City and only have a few to do before I’m done. Now, onto today’s page. How does one even treat that injury!? I took a first aid course about a year ago and followed the example of how to treat a broken leg. Will this injury affect Pendragon in the long term? Time will tell. You may have noticed that Cates looks different in virtually every issue he appears in. I just can’t nail down a look for him! Next week we are back to the street battle, as the Vanguard continues their struggle against the combined forces of Team Xtreme and the Hollow Men! That writing competition is still in the works! The details will be announced asap, but basically, It’ll be to write a synopsis for a three-four page comic. Should your idea get short listed, you’ll be asked for a full script. The winner will have their entry drawn by me and have it run on this site. Stay tuned! Can you spare a moment to upvote this page on Reddit? Thanks in advance! Who also produces the Excellent Mallville Rules comic – Go read! First off, let me extend a warm welcome to all you new readers! There’s a fair bit of story to catch up on. I hope you enjoy doing so. I’ll do my very best to answer any comment/question on the comic you may have. So, over the past couple of days, the site has been receiving an unprecedented amount of traffic. This is all thanks to Dave giving Vanguard a mention on his ace webcomic, Grrl Power. Dave discussed the different types of violence found in comics, pointing out that Vanguard is ‘significantly more violent’. I’ve mentioned before that one of my aims was to make the violence within Vanguard deadly and final. Death in this comic is permanent. No Bucky Barnes are to be found here. In comics, with superpowered protagonists clashing as they do, deaths should often result. There’s a great reason a lot of comics don’t take this approach. A continual cast of characters have to be added to replace fallen heroes/foes. That, and killing fan favorite characters is as about as popular as a rattlesnake in a lucky dip. I can see why a lot of creators don’t. Last time we saw Pendragon, he was in deep trouble. He’d be shot repeatedly, his knee blown of and now crawling for a weapon, his only salvation. We catch up with him now as he uses the corpse of a fallen Protection Officer as an impromptu shield, but alas, the Hollow Man appears unfazed by his counter-attack! I have a few announcements this week. First off, my lovely wife Zoe has published her own webcomic book: OCD Girl. Secondly, I’ll be launching a writing competition – Hooray! The details will be announced next week, but basically, It’ll be to write a three-four page comic book script. The winner will have their entry drawn by me and have it run on this site. Stay tuned! Can you spare a moment to upvote this page over on Reddit? Thanks in advance! Under normal circumstances, KingSword would be able to to shrug off a few grenades. I mean, the guy destroyed/exploded several intercontinental ballistic missiles by hand, with no ill effects. It’s obvious the virus that’s ravaging his system is taking it’s toll. But never fear – Godiva is here! There’s no way she’s letting her man go out like that. As issue Eight ended, we saw KingSword and the remnants of the UK Armed Forces arrived to assist in the defence of Downing Street and rescue the Prime Minister. We join them now, the action going ‘up a notch’, as all out war erupts in Central London… with the control of the nation at stake!